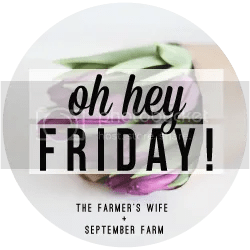 10•21 | high five for friday! sneak peak! i just got my christmas tree in the mail this week. my first real (fake) christmas tree! the one i had while in my apartment was small because i just didn’t have the space for a bigger one. i can’t wait to break this one out and get it decorated. i got my birchbox this week also and it was awesome after having a few duds in the past few months. i love fall, but it just hasn’t really hit texas yet. fall candles make up for it a little bit though! this one… she gets in so much trouble all the time. she stuck her face into one of those fall candles and burned off all of her eyebrow hairs and half her whiskers. also, i couldn’t keep her off my vanity so i put little pieces of tape sticky side up to deter her this week. on the first day, i forgot about it for a little while and then she shows up like this, covered in tape. made me laugh for a long time! but she’s still sweet! some great bands have been coming through town lately. (randy rogers this weekend!!) so i try to drag my friends to go see them. this past weekend was bart crow and flatland cavalry! while it was weird running into some past students, both are great bands and it was so much fun! i’ve been listening to this podcast on my walks the past couple weeks. it’s so interesting. so far, i’ve listened to the joan crawford and the charles manson series. i learned a ton about both people and the stories are so interesting that the host puts together. want to begin planning? start here. teaching tip 65. find your tribe. 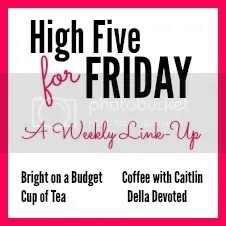 Next Post 10•28 | high five for friday! I am so excited for getting out my Christmas tree. I actually mentioned wanting to get it out this weekend (joking…kinda). You are going to love having a big tree to decorate. I am!! Now I can get all of the ornaments out instead of just a few. Ohh so excited to check out those podcasts! I have a marathon coming up and I just got into podcasts as a way to pass the (never ending) time. Thank you so much! I LOVE podcasts! Makes my walks/runs go by so much faster. There are so many great ones out there! I’m so excited to decorate for Christmas this year!! Your tree will be beautiful! Hope you are enjoying the weekend! What a beautiful cat, just stunning.